Tap or click for a larger version. Data via @thebenpulman. Quite a change from what was once a pure sports car company. 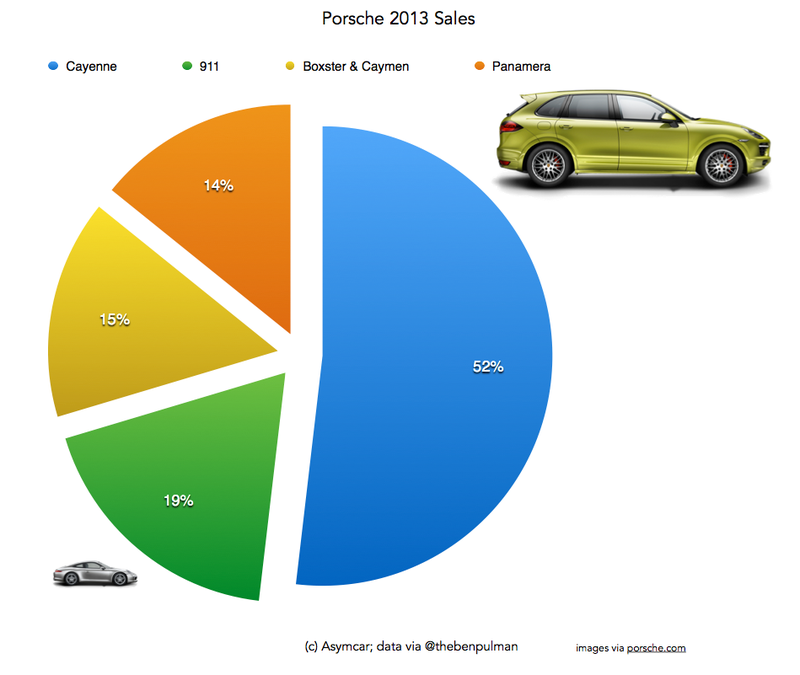 Presumably, the trend will continue as the Macan “Life, intensified” looms. Might Apple’s fashion hiring (YSL and Burberry) or Virginia Postrel’s “The Substance of Style” inform our analysis of the results illustrated above? This entry was posted in Style on January 9, 2014 by Jim Zellmer.